ALL THAT GLITTERS. It's a very wearable colour, a champagne/rose gold shade, that looks beautiful on everyone. It's a very soft and creamy texture. It's pigmented and easy to blend and it has the prettiest metallic finish. It's quite similar to Naked Lunch but All that glitters is warmer and less pink. NAKED LUNCH. One of my favourites eye shadows ever! This is a warm champagne peachy pink with a frost finish. It's a very versatile eyeshadow. I use it as a wash of colour or put it in the inner half of the lid. I wish this was more pigmented though. WOODWINKED. It's a really shimmery warm gold-bronze. It does have an orange/red undertone once applied so I would say this looks better on darker complexions. The texture is so soft and buttery. Also the pigmentation and colour payoff are really good. ANTIQUED. It's a warm coppery brown shade perfect for day and night. 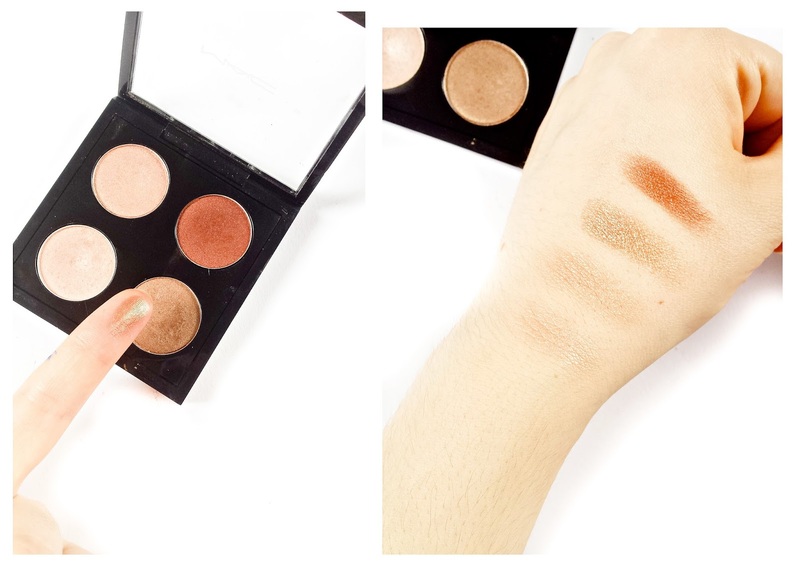 It's very smooth and pigmented and blends like a dream. It's such a beautiful shade to wear it alone over the lid, you don't need anything else. 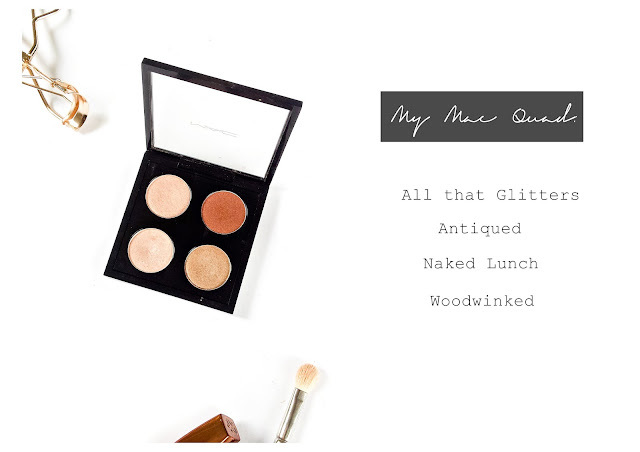 5 comments on "My Perfect Mac Quad"
Lovely bronze colours that are perfect for summer methinks :) thanks for sharing.